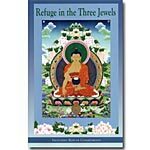 In this module you will learn about what it means to take refuge in the Three Jewels (Buddha, Dharma and Sangha), and the essential practices of refuge. You will find out more about the advantage of taking lay vows and their role in enhancing our spiritual growth. 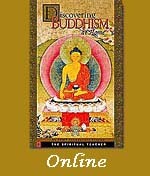 A 26-minute video for Module 7 from the Discovering Buddhism DVD. Six teaching sessions taught by Ven. 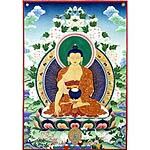 Thubten Dondrub and two guided meditations taught by Ven Connie Miller. PDF transcripts for all these teaching and meditation sessions are also provided.